We have a huge selection of UEFA Champions League Sports tickets worldwide. seeing UEFA Champions League Live up close and personal will be an experience you never forget. That is why you should get ready and get your UEFA Champions League Sports tickets early to secure very good seats. We have 2019 UEFA Champions League Sports tickets for any date. Order your UEFA Champions League tickets safe and secure, now! Goal Tickets is not directly affiliated with UEFA Champions League, or any Venue, performer, team, or Box Office. Goal Tickets provides premium tickets for the hottest events out there. All of the UEFA Champions League Sports tickets tickets listed on our site by reputable Ticket Sellers from across the country, and all our tickets are 100% guaranteed. We are able to offer you such a great selection by pooling their inventories together to present a wide array of tickets for every major event in the World. Many of our tickets are sold above the printed face value of the tickets. 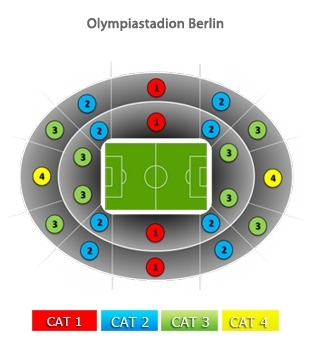 All UEFA Champions League ticket prices are in U.S. dollars unless otherwise specified. Any trademarked terms that appear on this page and are owned by third parties are used for descriptive purposes only. We are proud to offer a wide array of tickets to see UEFA Champions League. Every single ticket on our site is 100% Guaranteed. To order tickets, simply click on the link above. Then browse our selection of tickets for whichever date and time you prefer. Once you find the UEFA Champions League tickets you want, click on those tickets to make your purchase. It's that simple! All UEFA Champions League Sports tickets tickets are shipped through FedEx most of the time or are available at will call. The shipping address must be the same as your billing address at which you receive your credit card statement. If this is not the case, we will need to obtain a fax written authorization from you. If you would like to do this, you should contact one of our ticket representatives.